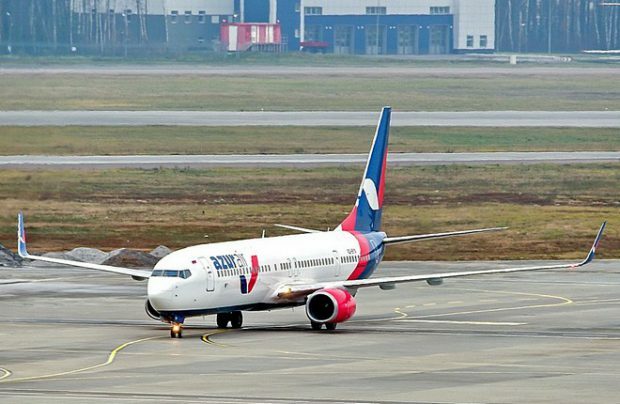 Azur Air, Russia’s biggest passenger charter airline, has started operating its second Boeing 737-900. Last year the airline became country’s first operator of the type. The latest aircraft, sporting registration code VQ-BYO, comes equipped with 215 passenger seats, including 24 in premium economy and was previously operated by Azur Air’s German sister airline Azur Air Germany, which ceased operations last September. With the second Boeing 737-900 factored in, the airline’s fleet number has risen to 25 units, a 25 per cent increase on January 2018. The Russian leisure carrier operates flights on behalf of the Turkey-backed Anex Tour travel company, and currently has the following aircraft roster: eight Boeing 757-200s, eight Boeing 767-300s, six Boeing 737-800s, two Boeing 737-900ERs and a single Boeing 777-300ER.